The following is a post from Jami. Do you need an easy and inexpensive gift for a child’s birthday, guaranteed to please the younger crowd? 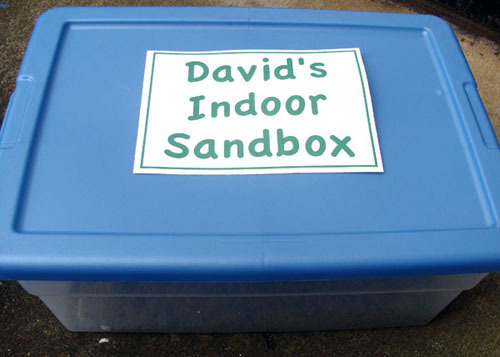 This indoor sandbox contains real sand in a contained area. 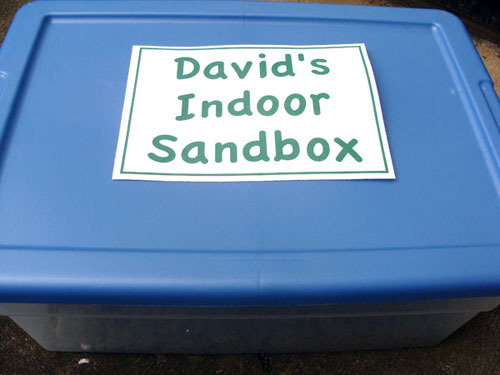 It includes toys that encourage play but not throwing or shoveling (two things that would make most moms leery of the whole “indoor sandbox” thing). When I gave an indoor sandbox to my nephew for his 5th birthday, he was so excited he started playing with it right away, even though it was one of the first gifts he opened! The total cost for the sandbox falls within the $10.00 budget we’ve set for gifts (no easy feat, sometimes). 1. 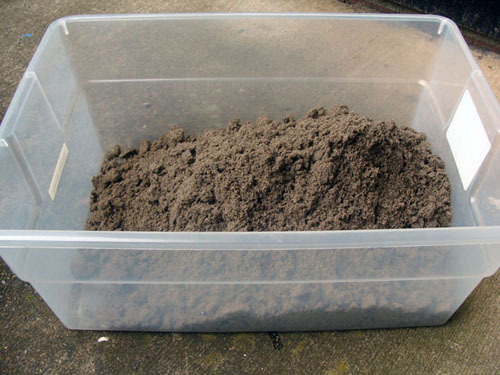 Start by filling the bottom of the storage bin with sand. About 1/4 to 1/3-full seems best – enough for the kids to play in, but not too heavy to pick up. 2. 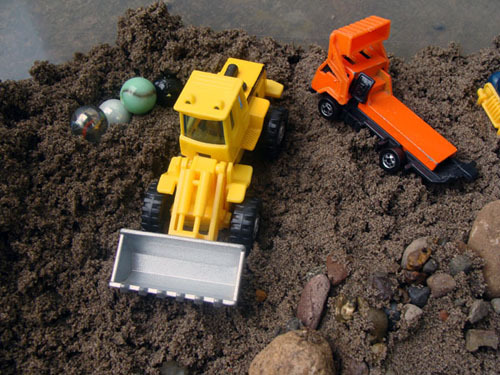 Place the trucks, cars, and marbles in the sand in such a way that the recipient gets an idea right away of how to play with the sandbox. 3. 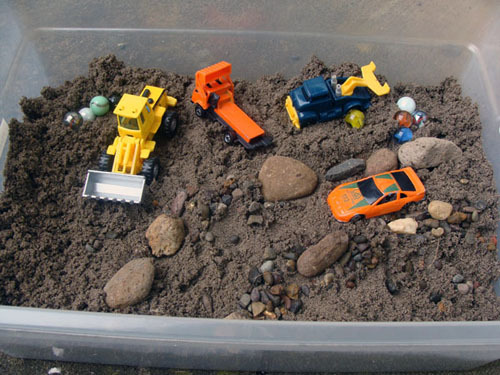 Add small rocks in piles and to create “roads” for the cars. 4. 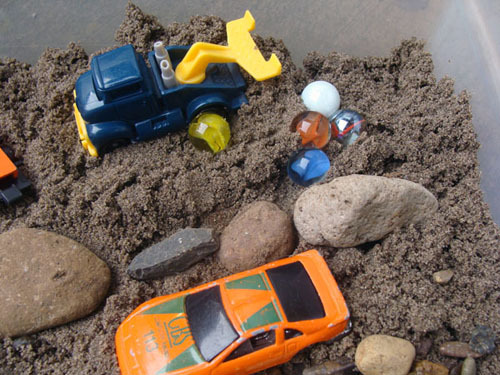 For easy clean-up (we all know some of the sand will end up outside the box, no matter what type of toys are included), include a dollar store shower liner. 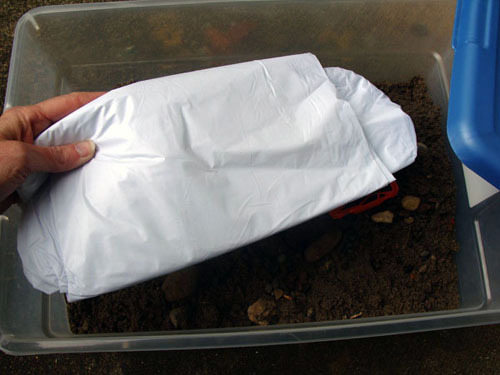 Then the child’s mom can put the liner down on the floor with the box in the middle, and when the child is done, it’s a simple thing to gather up the liner to shake outside or pour the sand back into the box. 5. Lastly, create a simple label in a word processing program, print it out, and attach it to the top of the box with packing tape. Cover the entire label with tape to protect it and keep it in place longer (I hadn’t done that yet in the photo). For wrapping you can tie a ribbon around it as-is, or slip it into a brown paper bag (turned inside-out so the store label doesn’t show), tape the end shut and then tie a ribbon or twine around it. Of course, you can always try to use traditional wrapping paper, but this is a heavy gift that can’t be turned upside down or moved a lot, so I found a paper bag to be the easiest way to wrap it. With a bin, some sand, toys, and rocks you can create a unique child’s gift in about 10 minutes for $10. Not only that, it is also the type of gift that encourages creativity and exploration and expands that list of rainy-day activities, which is always a good thing! Wow I love this idea!!! My son would love this!! We have one of these, except we use dried beans and rice instead of the sand. My kids LOVE it! 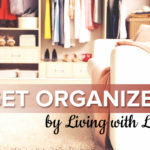 This is a great project, thank you for posting it. I am going to make it for my son as an Easter gift. Very clever idea…that would make such a neat gift! I just saw one like this at my daughter’s preschool last week and though it was so fun! 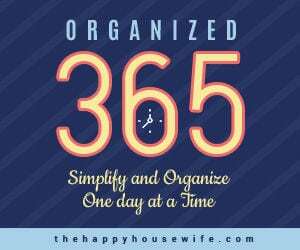 Thanks for sharing a full how to! while the older kiddos are doing their table work with Mom.